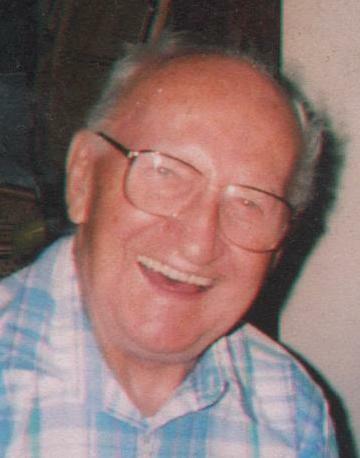 Ernest H. Boudreau, 94, of Fall River, husband of 59 years to the late Agnes (Melancon) Boudreau, passed away peacefully April 13, 2019. A graduate of BMC Durfee High School, he was a US Army Veteran of WWII, where he spent three years and retired as a Technical Sergeant. He worked for 45 years at Larson Tool and Stamping in Attleboro. He enjoyed gardening and many friends and family enjoyed the fruits of his labor. He leaves two sons, David and his wife Anne Marie of Westport and William and his wife Rose Mary of Somerset; three grandchildren, Lisa Gaboury of Westport, Rachel Kublin and her husband Adam of Easton and Nicholas Boudreau and his wife Deb of Somerset; five great-grandchildren, Jonathan and James Gaboury, Ella and Sadie Kublin and Sydney Boudreau and many nieces and nephews. He was the father of the late Richard Boudreau, the brother of the late Laurent and Leopold Boudreau and Doris Dube and the son of the late Henry and Rose (Desrosiers) Boudreau. Private funeral arrangements entrusted to Auclair Funeral Home. In lieu of flowers, please consider a donation to Multiple Myeloma Research Foundation, 383 Main Ave. #5, Norwalk, CT 06851. Online guest book at AuclairFuneralHome.com.